I’m excited about this post, it’s the first guest post to go up on the Pick 6 feature of the site. My long time friend, Mike Lufaso, sent me his favorite new beers of 2103. Mike grew up and went to college in Ohio but now lives in Jacksonville, Florida. He has included two beers from Belgium, two from Hawaii, and one from Mississippi, a place where I know very little about the beer. In fact all six are ones that I’ve not had the pleasure to try, but I will keep an eye out for them going forward. I look forward to getting pick 6 lists from some other readers in the near future. 1. 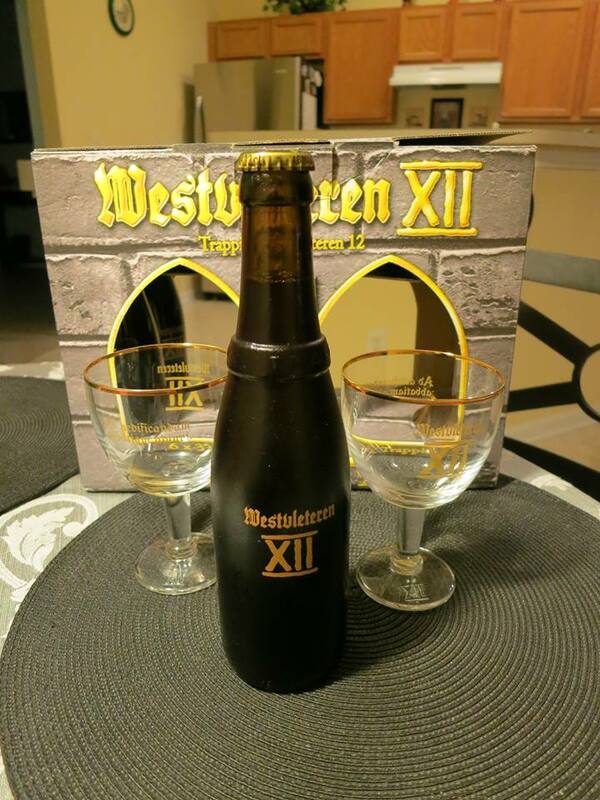 Trappist Westvleteren XII (Quadrupel) – I picked up a 6 pack of Westy XII on the recommendation of the proprietor of Pat’s Pints. This involved a trip to TotalWine at 9 am, to a half full parking lot. About 5 minutes after 9 am, the first pallet was nearly empty, even with the purchase limit and a hefty price tag. The chance to obtain this top 10 beer in the world again is uncertain. I haven’t consumed a full one of these, sharing one with many others at a party, splitting one with Hank on his US tour, and taking two to Pat so he can enjoy (eventually). The remaining two are being saved for some future special occasion. Deep and complex flavors and understandably one of the highest rated beers. (Editors Note: Look for a post soon on a Belgian quad beer tasting where we put the great Westy XII that I procured from Mike up against the best Belgian quadrupel ales you can find in Central Ohio). 2. 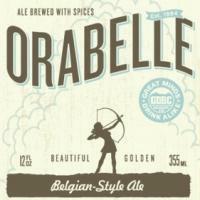 Orabelle by Great Divide (Tripel) – I’ve recently become a fan of beers produced by Great Divide and wouldn’t hesitate picking up a six pack of anything they produce. Orabelle was my favorite non-local seasonal. The combination of barley, oats, wheat, and rye with orange peel and coriander give rise to a tripel worthy of multiple six packs for me and for some friends. A nice golden-orange color with a frothy head. Great smelling and tasting, enabling one to sample many portions of the beer tasting wheel. 3. 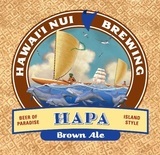 Hapa Brown Ale by Hawaii Nui Brewing (Brown Ale) – I enjoyed this brown ale (draft) at a restaurant in Honolulu. It had a rich maltiness, seemingly amplified by the accompanying meal. Chocolate, caramel, brown sugar, and nutty flavors were memorable. I didn’t know it at the time, but it was a Silver medal winner of the Brewers Association (BA) World Beer Cup 2010. I reminded me of English style brown ales, and quite different from the next local beer from the islands. 4. 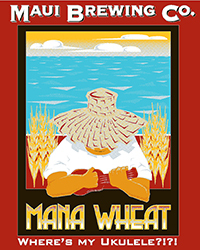 Mana Wheat by Maui Brewing Company (American Wheat) – I enjoyed this American-style wheat (draft) at a restaurant in Honolulu. It is one of the flagship brews from Maui Brewing Company. It was just slightly cloudy and poured with a white head. Carbonation was moderate. The addition of pineapple was noticeable, but not overly fruity or tart. Very light in hops and not bitter. Very drinkable and refreshing. 5. 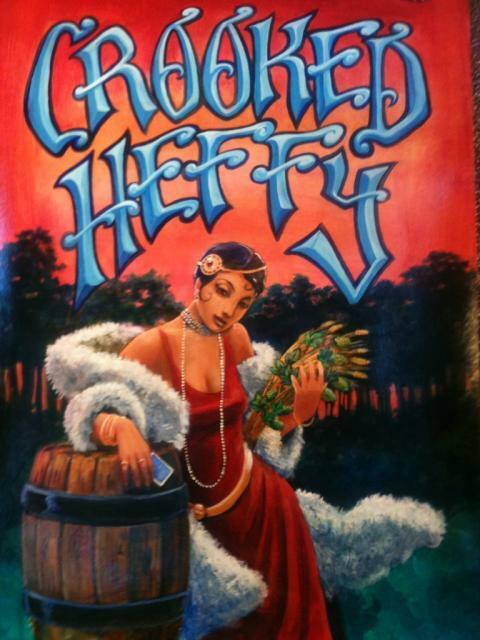 Crooked Heffy by Crooked Letter Brewing Company (Hefeweizen) – I enjoyed this as the only non-macrobrew at a restaurant in Starkville, MS. The Hefeweizen uses an American yeast that doesn’t flocculate. It was slightly cloudy. Flavorwise, it gave wheat and banana overtones. Compared to other Hefeweizen style beers, gave a memorable clove finish. Reminded me of Paulaner Hefewizen, but fresher. The brewer recommends a serving temperature of 279 Kelvin, which I found quite unique in the use of SI units (International System of Units). 6. 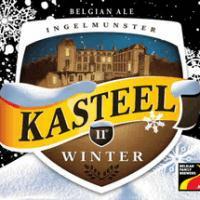 Kasteel Winter by Castle Brewery (Belgian Strong Dark Ale) – I enjoyed this Belgian dark ale on New Year’s Eve. A viscous ale with prune, fig, dark chocolate, coffee, and roasted malt flavors. The 11% abv content was covered well by the powerful dessert flavors. Enjoyable on a cool winter’s evening, but I don’t think I would drink this on a hot Florida day (i.e. not in March to October). It would have been interesting to compare side by side with Raison D’etre by Dogfish Head. Mike, Looking at your list I can say that we are definitely not beer soul-mates, but if I see any of these, I will at least try them. Thanks for sharing! Michelle I know you are close with your list. People are waiting for it.